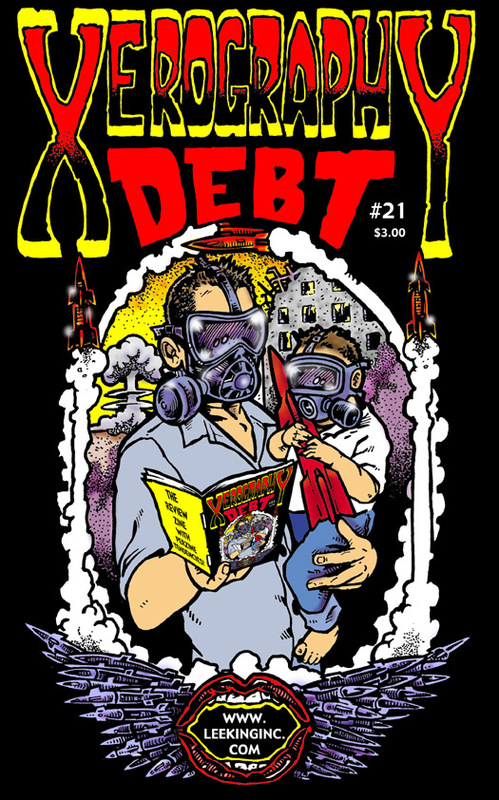 Xerography Debt is a zine about zines. We've been partying like it is 1999 since...well, 1999. We've even been described as the PBS of review zines. A partnership with Microcosm Publishing has helped sustain and extend the outreach of XD since 2008. Please support review zines. They in turn work to support the whole community. Also, join our Facebook group. Also, if you would like to send your zine in for review, please print and use this handy review form. Is available from Microcosm Publishing. you to a pdf file of the whole issue (800kb). you to a pdf file of the whole issue (1.2mb). you to a pdf file of the whole issue (320K). you to a pdf file of the whole issue (1M). you to a pdf file of the whole issue (2M). Ever wondered what we all look like? 19 superstar reviewers and 3 columnists! Over 90 reviews. 14 reviewers. Over 120 reviews. 7 reviewers. 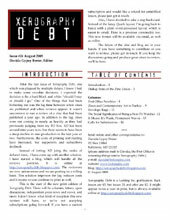 Thanks to the magical librarian skills of Donny Smith, there is now an index for Xerography Debt available online! The Home of Zineland Security is an article from Xerography Debt columnist and reviewer Donny Smith. If you are concerned about the safety of your mail, the threats to national security and individual freedoms, and how to deal with prisoner requests, this is essential reading. Also learn about libraries, infoshops, and the right to publish. Why did you change the name to Xerography Debt???? Because the Xerox Corporation sent a letter threatening litigation. Bobby Tran Dale's comic from issue #3.